Carnival is coming! Let´s enjoy samba! 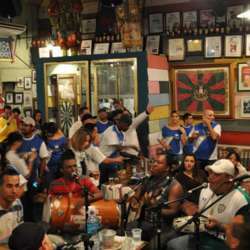 Dudu Nobre is a very famous samba musician and composer. Mocidade Independente de Padre Miguel is one of the most important "samba schools" in Rio de Janeiro. Samba Bar Group will open the samba night. It is likely that the place will be full. Arrive early to guarantee your entrance!